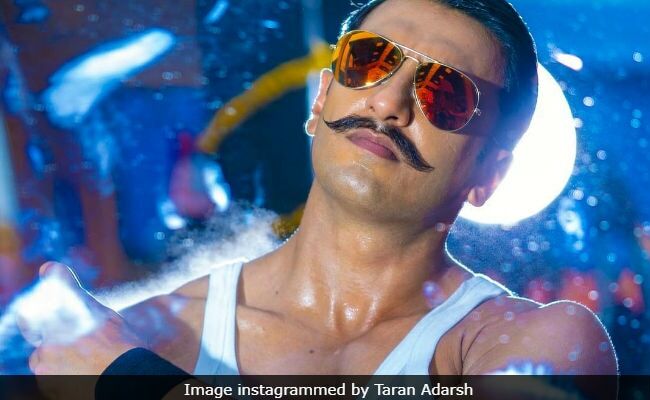 Rohit Shetty's 'smash hit' film Simmba, starring Ranveer Singh, collected Rs 139 crore as of Wednesday asn according to trade analyst Taran Adarsh, it shows no signs of slowing down. "Simmba is a smash hit... Continues to collect in double digits, even after New Year celebrations have ended. This one is not slowing down soon," he tweeted, along with the day-wise collection break-up. Simmba, which released on Friday, crossed the Rs 100-crore mark on the fifth day of its release and it became Rohit Shetty's eight consecutive 100-crore film. For Ranveer Singh, Simmba is his fourth film to cross over the 100-crore hurdle after Ram-Leela, Bajirao Mastani and "Padmaavat" - all three directed by Sanjay Leela Bhansali. #Simmba is a SMASH HIT... Continues to collect in double digits, even after New Year celebrations have ended... This one is not slowing down soon... Fri 20.72 cr, Sat 23.33 cr, Sun 31.06 cr, Mon 21.24 cr, Tue 28.19 cr, Wed 14.49 cr. Total: 139.03 cr. India biz. Ranveer Singh was bowled over by the success of Simmba and told news agency IANS: "I'm extremely grateful to the audience for the love they have showered on my performance and on the film. It is encouraging and truly humbling. It has been an absolutely incredible year for me, and the success of 'Simmba' makes it an ideal way to end the year -- on a huge, huge high."